These days it seems we are constantly bombarded by highly saturated colours – advertising, movies, and even natural wildlife programs are sharpened and over saturated by the settings our TVs (or we) choose! Sometimes, the drama of a moment captured and shared can be told more strongly when all the distractions are removed and you are left face to face with the essence of the image. For me this is especially true when I come across a regal feline presence. 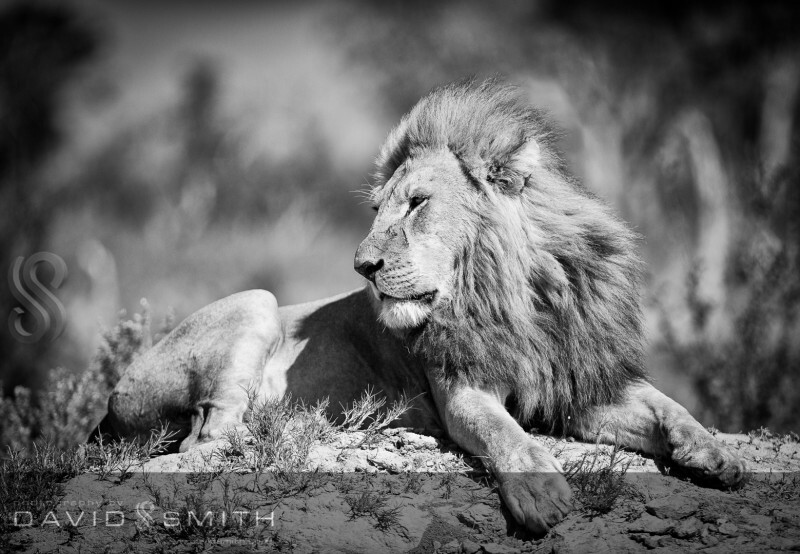 The malevolent glare of a fully grown male Kalahari lion sends a shiver down your spine when you appreciate the power and beauty that lies within. 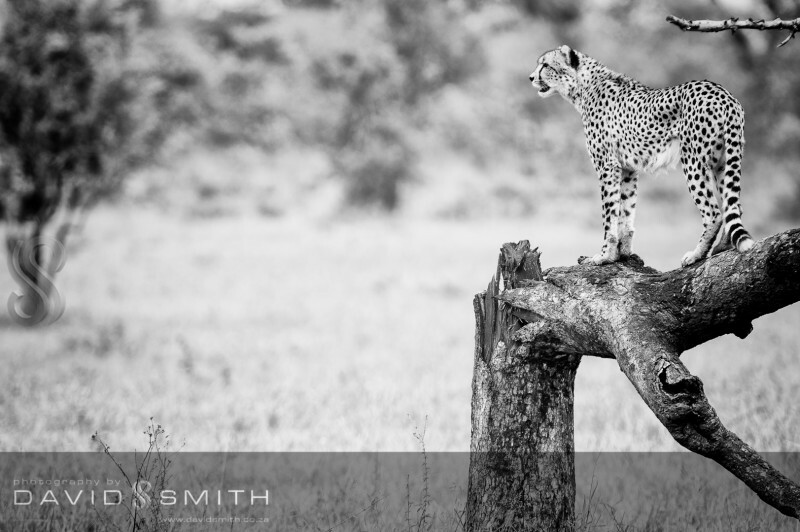 A cheetah using a tree as a vantage point to search for possible prey seems almost fragile in it’s fight to survive in a hostile environment, and yet, when it unleashes a burst of speed, the marvel of this creation is a joy to behold. 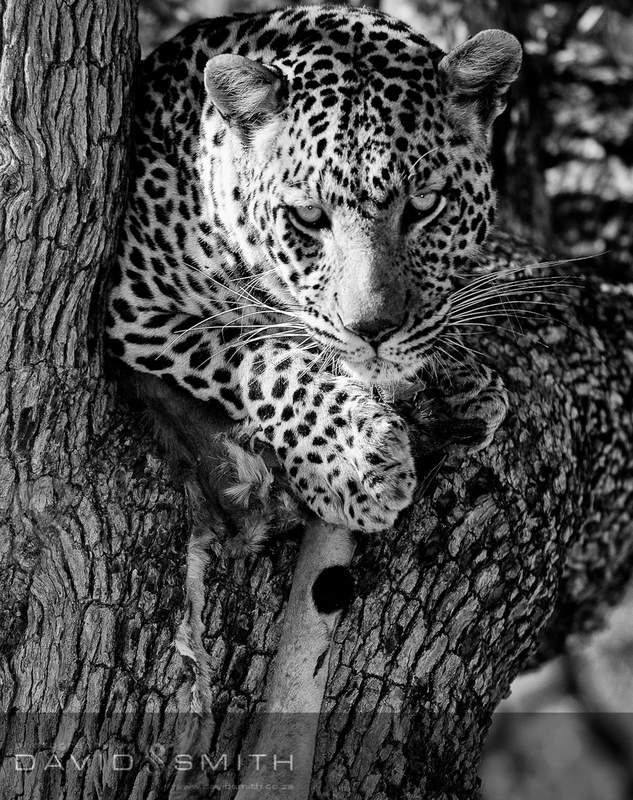 Looking down from it’s perch, a male Leopard pauses to inspect you interrupting it’s lunch and the look tells you of the confidence of this survivor. 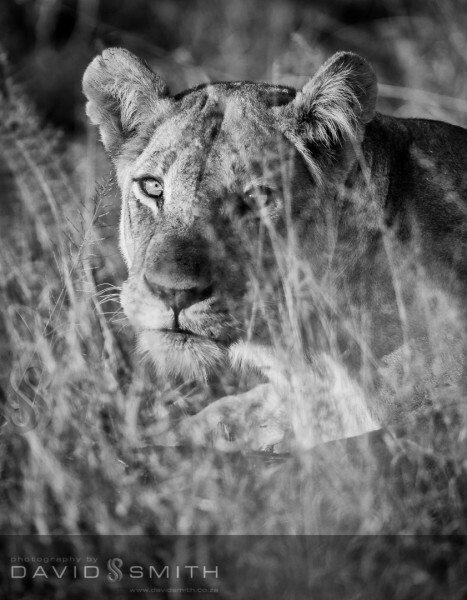 An almost pleading look from this lioness conveyed her absolute inner beauty and we saw that she was heavily pregnant and was looking for a safe place to have her babies. I felt we were intruding on something so special, and another cycle of life was about to begin the hard fight for survival. 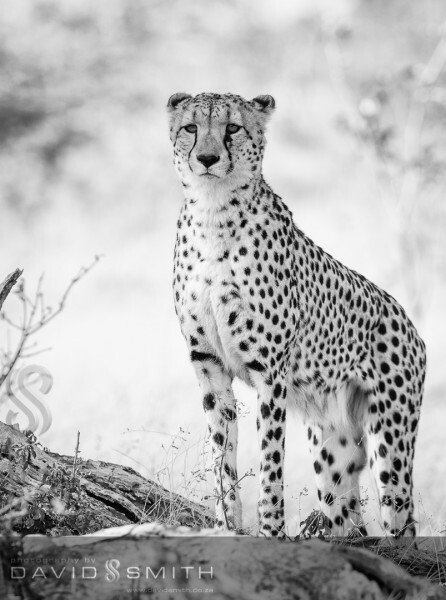 Following a brief and fruitless pursuit of some Impala rams, this cheetah seemed almost embarrassed to have caused such a fuss, and have no reward for it at the end. Such is life for the hunters and the hunted, and the cycle of life continues. 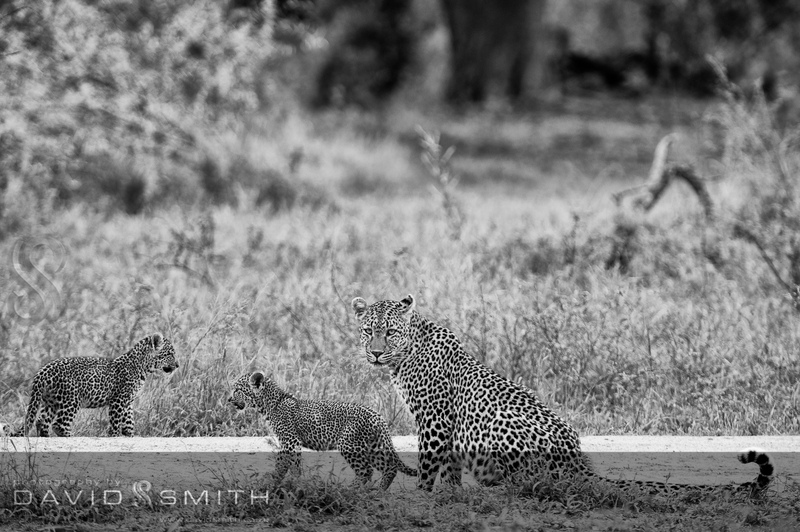 This amazing female leopard was moving her cubs to a safer den, ever mindful of roaming lions and hyenas. She surveyed us with a watchful eye, but seemed content that we meant her no harm. When a vulture came close to her kill, she immediately dragged the kill down from the tree and moved it somewhere else, knowing, it seems, that the hyenas would be following close behind. Some magical moments I have been witness too, and somehow, just seem more vivid in black and white ….